Looking for a Sales Tax/ Tip calculator? One that allows you to save time and doesn’t force an ad every time you change a number? 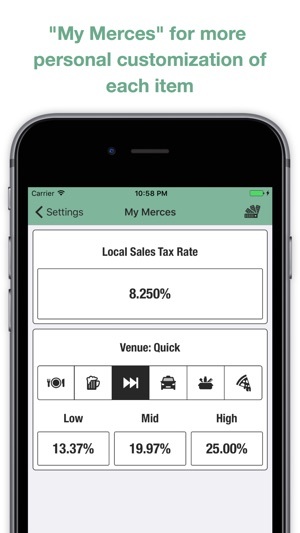 •Choose to enter your local sales tax rate, and your sales tax field will calculate according to your subtotal! There is few apps that make it one to my main screen. 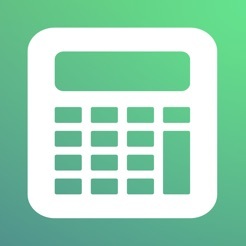 This one did, I’ve been using many tip calculators over time. This one is the best I’ve ever used. 1: it is efficient. 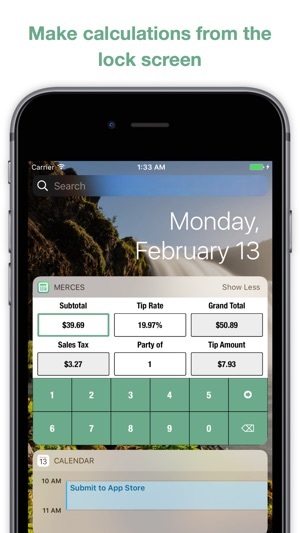 Nobody like to take a long time when paying for the check this app allows you to calculate your expense in a rapid manner. 2: it allows for sales tax. Thing I’d love to see is the ability to enter the total amount and sales tax to be automatically deducted from the tip. 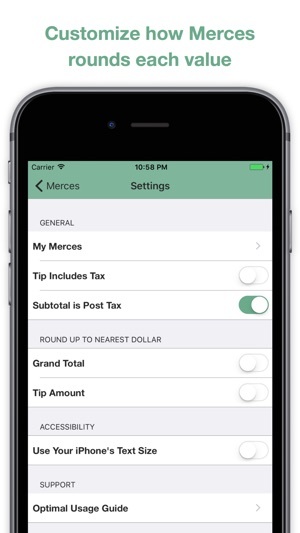 Also an option for location this automatically updating sales tax based on location. 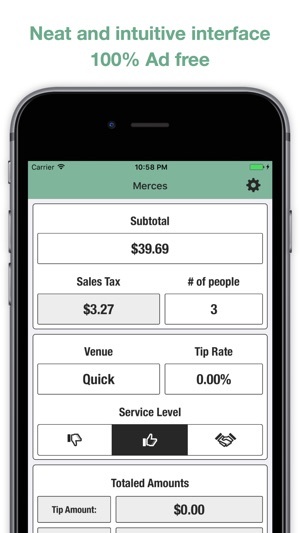 The only tip app I have found that lets you calculate your tip before tax and then also round up the total. 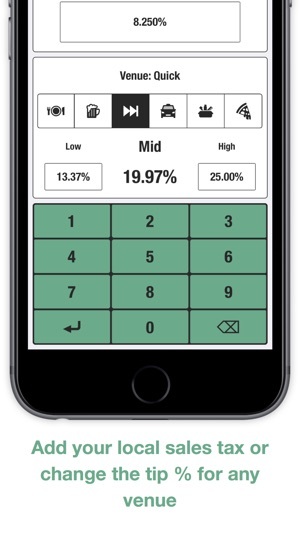 Please update for iPhone X screen dimensions! 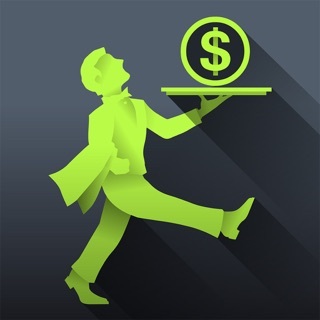 Does the job really well of calculating my tips when I'm in a restaurant. 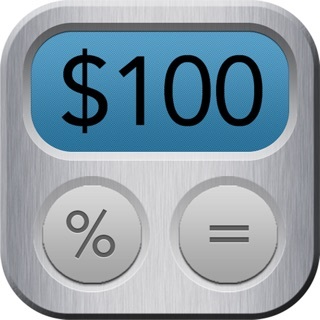 I use it with my Apple Watch, which makes it quick and easy to get and amount for tipping.